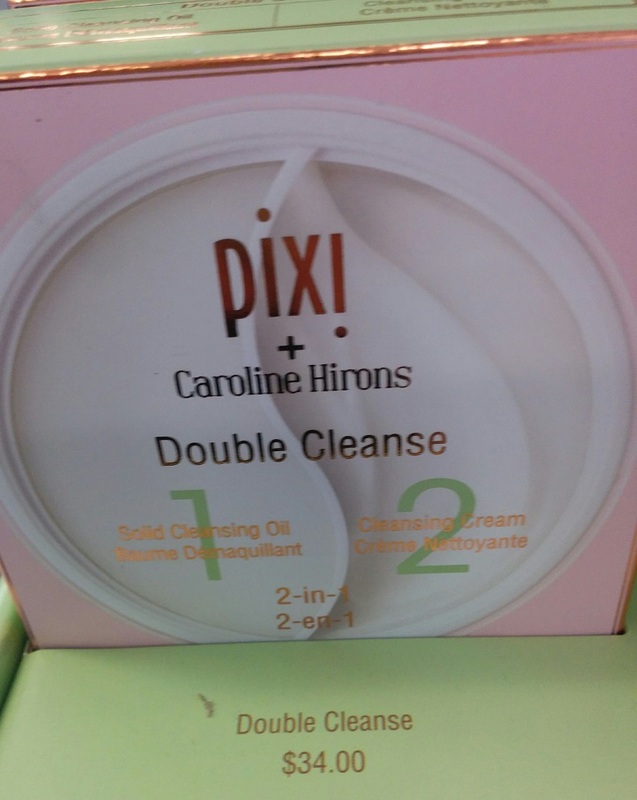 Good news for skin-care obsessed Canadians who have been die-ing to get their hands on PIXI DOUBLE CLEANSE by Caroline Hirrons. This product has been a global smash hit since it launched a year ago. Two products in one divided pot: Solid Cleansing Balm (to remove makeup and sunscreen) + Cream Cleanser (for the second cleanse) . Both products are removed with a damp flannel (the best method ever), and both are unscented (hurrah!). Spotted in my BC Shoppers Drug Mart. A bit taken aback at the price, $34, for 2 x 50ml. 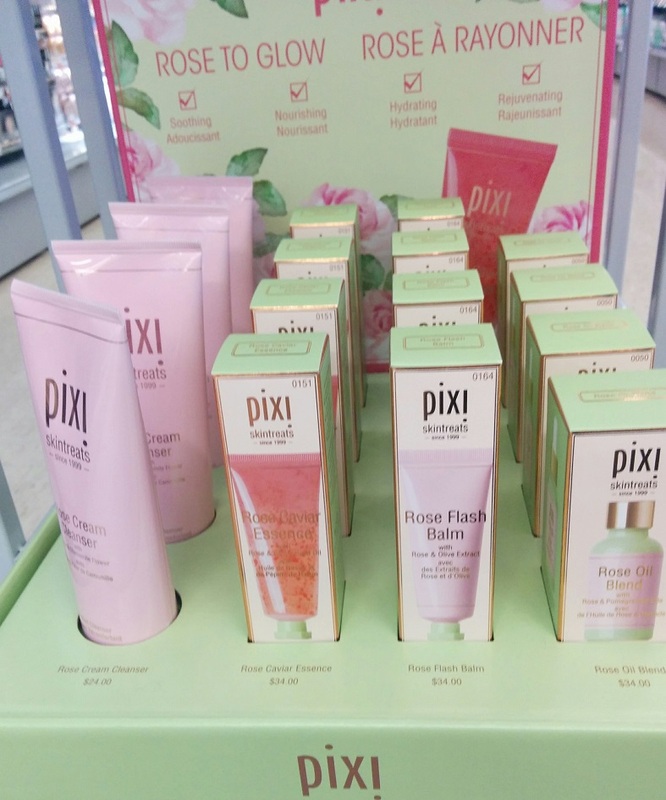 Plus a new ROSE TO GLOW line for those who like scented products. It’s January. It’s a month of moderation. Gwenyth can immoderately do her detox, but I resolve to continue enjoying my daily food with a daily glass of wine. Which numerous studies confirm, is actually good for you. In moderation of course: one glass for women, two for men (so so unfair!) leads to a longer, healthier, and happier life. Notwithstanding oversized wine glasses, a proper glass of wine is a 5-ounce pour. 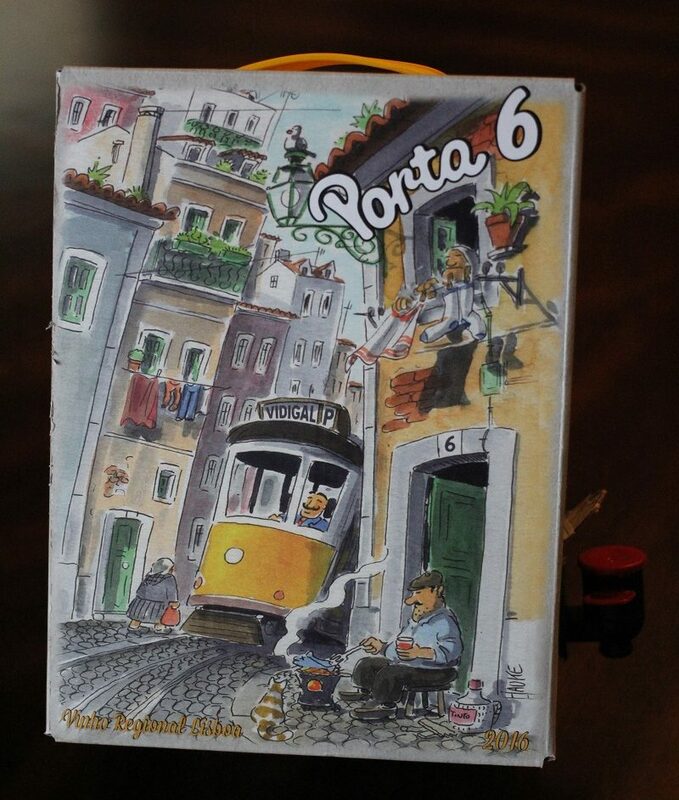 So, in the spirit of (budgetary) restraint I bought a boxed wine (gasp), that was surprisingly drinkable: PORTA 6 is a good value, good red wine from Lisbon, Portugal in a 3 Litre box which is the equivalent of 4 bottles for $39.99. 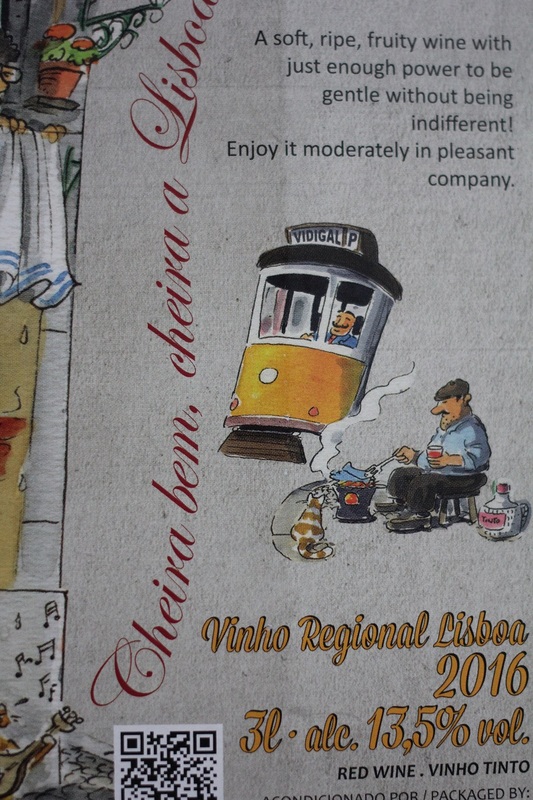 From the indigenous varieties of Touriga Nacional, Tinta Roriz and Castelão, this is a straightforward, medium-bodied red with blackcurrant and floral notes. It is very refreshing and vibrant with smooth tannins and, more importantly, it is worth every penny. Isn’t the artwork wonderful? It is by the renowned German illustrator Hauke Vagt. I don’t know about you, but I can’t image drinking any wine in unpleasant company. That would not be good for you. A lovely white that won’t break the bank. If you only get one glass a day, make sure it’s a good one. Winemaker Anton Swarts sources chenin from the Breede and Coastal regions of Western Cape for this likeable, potent white. 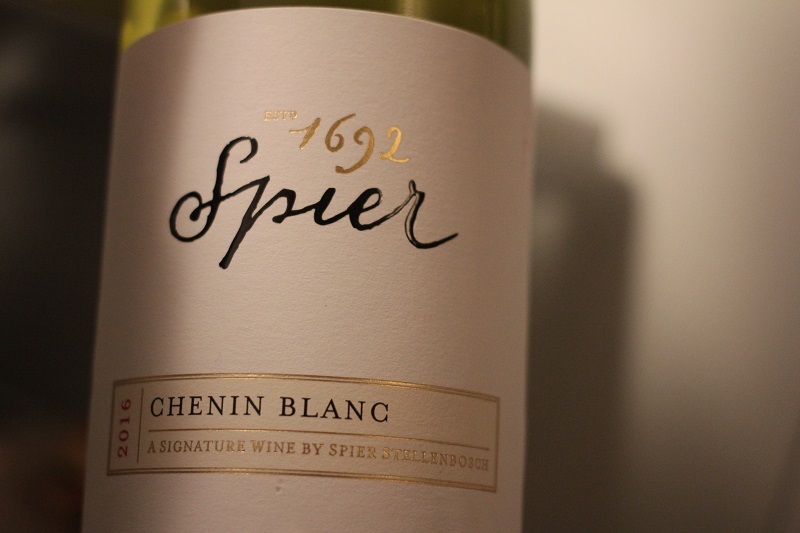 Pear, yellow apple, green melon, mandarine and light lees on the medium bodied palate, plumped with chenin’s waxiness. Fine ginger spicing and lime pith lingers on the finish. 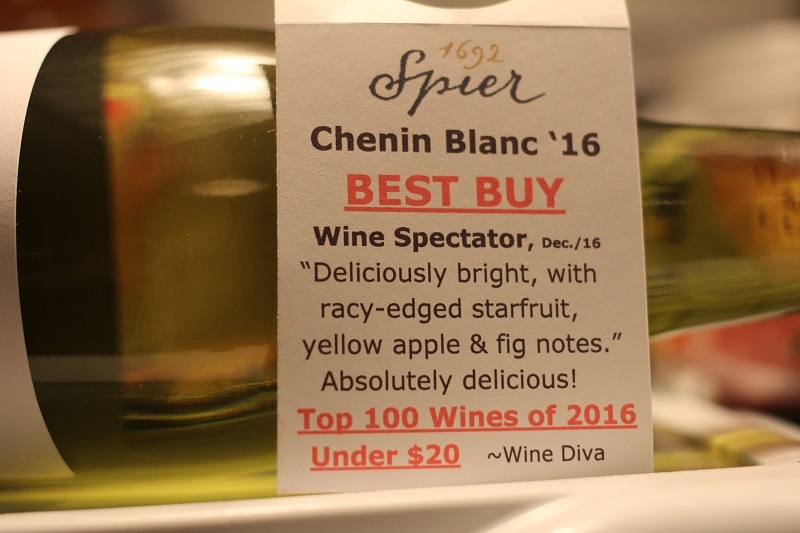 Killer value for this South African chenin – buy by the case. Keep a bottle or two in the fridge at all times. Be Prepared is a good motto. 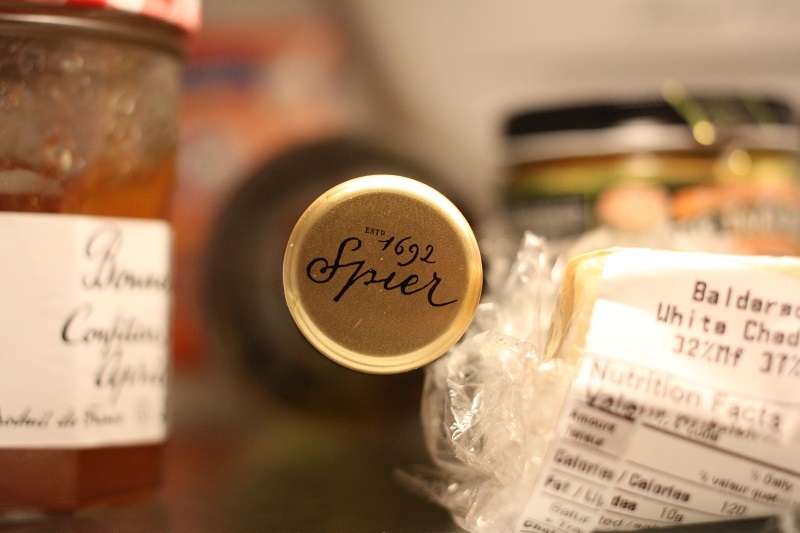 You’ve got wine, you’ve got cheese; life is good, even if it’s January. I have discovered the miracle of the muslin cloth. Have you? I have been devoted to the hot-cloth cleansing method for more than two decades, and my mission to convert others continues. I believe the single most noticeably skin-improving treatment is to massage a balm cleanser into the face to loosen dirt and makeup, then buff off with a hand-hot, wrung-out, common-or-garden terry cotton flannel until spotlessly clean. A muslin cloth provides a gentle exfoliating that leaves skin super-clean and smooth and out performs a terry face cloth. I’ve been buying the Eve Lom muslin 3-pack from Sephora. Although they are great, they are pricey at $10 apiece. 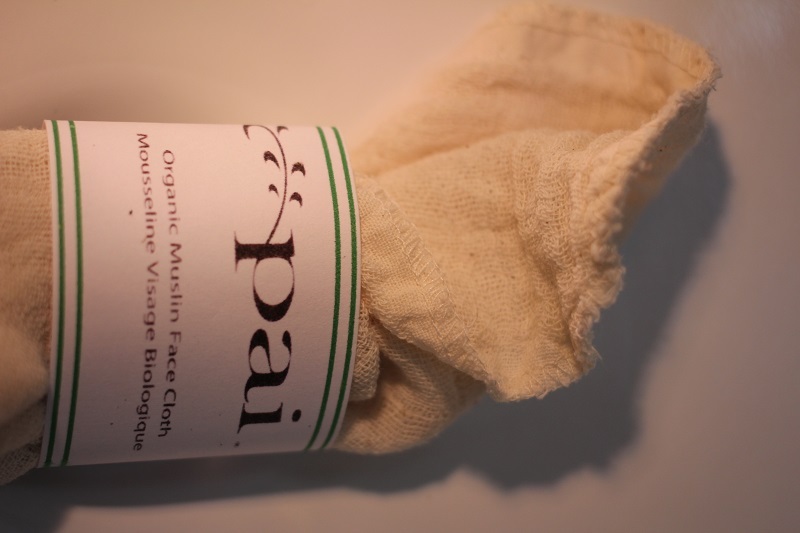 I discovered an equally wonderful and more economical option: Pai: 100% unbleached organic muslin cotton These come in a few variants: regular, sensitive, and double-sided. They also come in 3 and 5 packs. A regular single was $4 at my local natural shop. Sorry Eve, I’m switching. None are more acutely aware of the cyclicity of fashion than those who shop vintage. 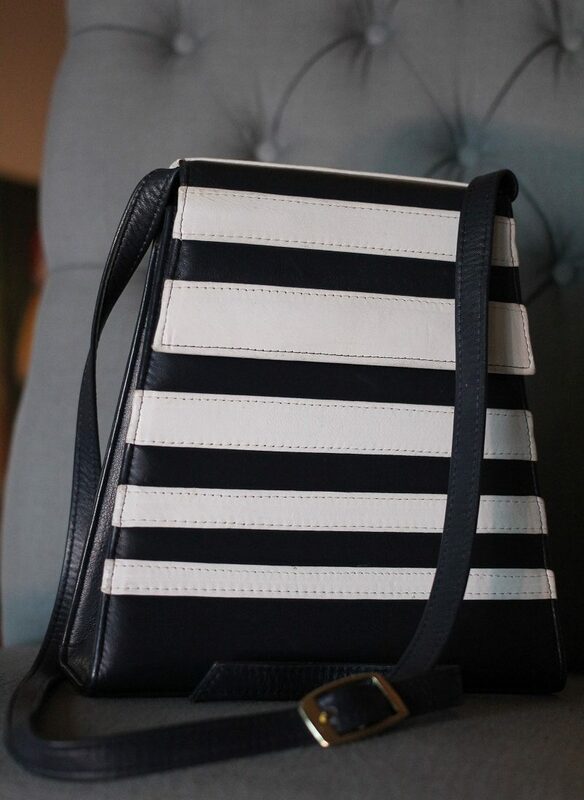 A thrift store find that just happens to coincide with the current handbag trend of structured bags in unique and interesting shapes, this navy and white leather shoulder bag is a trapezoid. 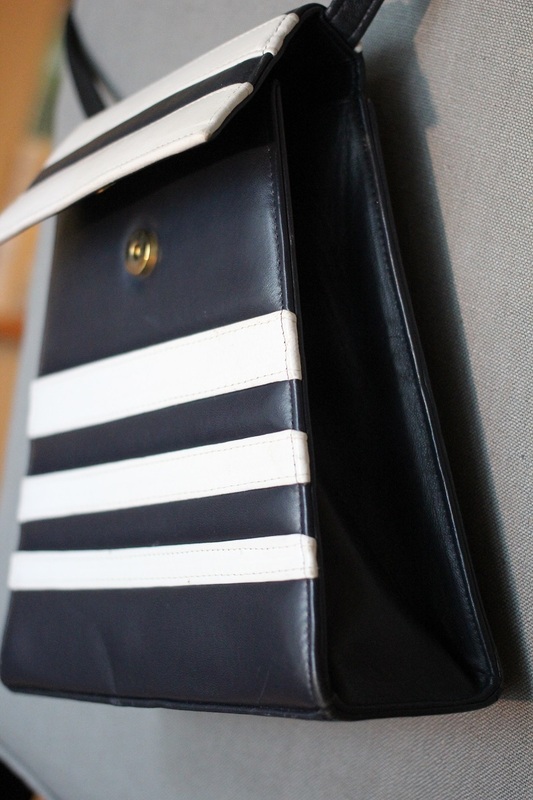 It’s also a striking bag. It has a flap opening and a magnetic closure. No clue who made it: there was no label or imprint inside. Since I’m a no-logo fan, this suits me just fine. Who doesn’t love a mystery and a great handbag? The Beauty Know It All interviewed the founder of Deciem and an interesting discussion ensued about skincare and the beauty industry. All very entertaining and informative, but the biggest revelation wasn’t about either, it was about what the monkeys are currently working on in the lab. THIS IS BIG BIG BIG: the end of the greying of hair (see 8:07). It is no wonder that Brandon admitted to jumping when the lab results came in. This breakthrough is worth ga-zillions.